How to watch Scorpion: Season 4 (2018) on Netflix Austria! 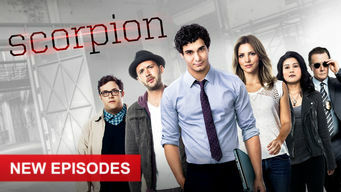 Yes, Scorpion: Season 4 is now available on Austrian Netflix. It arrived for online streaming on September 29, 2018. We'll keep checking Netflix Austria for Scorpion: Season 4, and this page will be updated with any changes. Homeland Security enlists a supergenius and his motley team of prodigies to protect the nation from a sophisticated new generation of terrorists. His whiz-kid antics once got him in trouble with the law. Now he's the government's best hope against terrorist threats. Season 1 of Scorpion has 22 episodes. Because different Netflix countries have different availability for episodes, you'll need to check the episode listing below to see which are available in Austria. The government enlists genius hacker Walter O'Brien and his brilliant team to help safely land 56 aircraft when the communication system crashes. When four kids, including the governor's daughter, become targets of a deadly virus, the team rushes to expose the culprit and save the victims. The team tries to prove its value by stopping a bomber who threatens to destroy the Internet capability of a vital region. The team's mission in Las Vegas takes an unlucky turn when Walter is set up to look like the criminal behind a big casino robbery. When a defunct nuclear plant verges on a meltdown, a former member rejoins the Scorpion squad to help prevent an epic disaster. 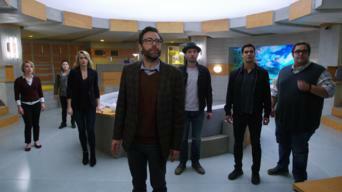 The team is forced to undergo a psych evaluation or be dissolved after an art fraud case lands them in a jam; Paige enlists the team to help her son. When three convicts escape a high-security prison, the team is called upon to return them to confinement; Ralph's estranged father wants to meet. When a music blogger is murdered, a formula for producing hit songs is found at the scene of the crime; Walter helps Drew relate to his son. When Cabe's ex-wife finds evidence of foul play in a powerful congressman's death, the team tries to provide her with protection. When a military plane is shot down over Bosnia, the team travels overseas to recover its technology; Sylvester receives a visit from Walter's sister. The search for a gang of thieves that planted a bomb intensifies after Sylvester inadvertently triggers the device. When a boy gets caught in a rock slide that causes a sinkhole near the beach, the team struggles to save him before the rising tide takes his life. When Ralph plays an Internet game and unintentionally reveals a government secret, the team tries to help him out of trouble with the FBI. The team tries to expose a CIA mole who is being pressured into stealing lethal chemicals; Paige tries to help Walter become a better flirt. The team tries to halt a nuclear launch from a secret silo by evoking the memory of an injured Secret Service agent; Drew proposes a major change. The team poses as passengers on a cruise ship to locate and disarm deadly stolen rockets; Toby and Happy help a smitten Ralph face Valentine's Day. The unit tries to rescue the abducted daughter of a tech tycoon; Walter's TV interview stirs resentment when he fails to share credit with his team. The team is pressed with facilitating secret peace negotiations when Eastern European interests clash and World War III looms on the horizon. As the team searches for missing hikers, their helicopter crashes, igniting a wildfire as they try to save the wounded pilot. The team takes a witness in a drug cartel case on the run for her own protection, as the criminals follow in hot pursuit -- with intent to kill. When Walter uncovers a secret about the Baghdad mission, he realizes the truth could be the squad's undoing; Ralph risks his life for the team. With the team ripped asunder and their future in limbo, the members of the squad must join forces when Walter's life hangs by a thread. Season 2 of Scorpion has 25 episodes. Because different Netflix countries have different availability for episodes, you'll need to check the episode listing below to see which are available in Austria. The new Homeland Security director asks Scorpion to divert a runaway satellite heading for Earth, but Walter still isn't operating at 100 percent. The team goes off the grid to nab a Serbian war criminal who killed the family of a woman from Cabe's past. Walter's legal troubles take a turn. Sylvester goes undercover as an inmate to gain intel on criminals targeting three judges. But for the team, getting him out might be tricky. Walter, Cabe and Happy dive 300 feet in a submarine to analyze a data-hunting device. But after an accident, time and oxygen are in short supply. In order to locate an old Soviet nuclear missile that's on the black market, Scorpion must infiltrate the set of a superhero movie. 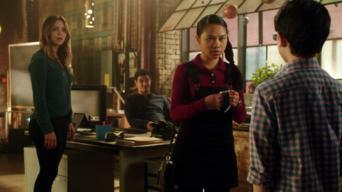 Team Scorpion's plans to launch a "smart building" hit a snag when they discover a worm has infected the system, making the entire building deadly. The team struggles to escape as the virus continues to wreak havoc throughout the building, making every move potentially fatal. Paige and Ralph find themselves trapped on a runaway train after high-tech thieves sabotage the subway lines to pull off a major heist. Two rogue CIA agents flying a top secret plane wind up in Area 51, prompting the CIA to ask Scorpion for help in tracking down the aircraft. Scorpion and MI6 infiltrate the United Nations in order to stop an ambassador from selling weapons to African militants seeking to kill rebels. Walter tries to visit Megan when her condition worsens, but a deadly outbreak throws the hospital into a state of emergency. When a terrorist threatens the Federal Reserve with student-written code, the team must go undercover at a university as both professors and pledges. The team works frantically to repair a compromised power station before 10,000 people lose power on Christmas Day. But a more slippery problem arises. Scorpion travels into the heart of Antarctica to rescue a special forces unit, but a new mission emerges when Happy gets lost in a whiteout blizzard. Sylvester's estranged father alerts the team of startling news: A supremely powerful weapon of popular myth is real, and a dictator in Africa has it. Now working at NASA, a familiar face enlists the team to investigate the failure of a top secret rocket. But the cause is not what anyone expected. Tired of their squabbling, Paige sends Walter and Toby to couples therapy. But everyone must snap into action when a massive earthquake strikes L.A. 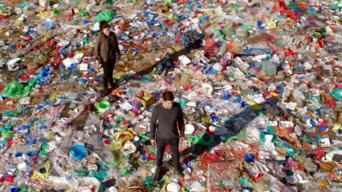 The agents of Scorpion set out to stop Mexican drug runners who are using armed drones to transport pure bricks of heroin across the border. Sylvester goes for the gold as a contestant on "The Price Is Right." An old ex-con friend of Cabe's tips the team off to a car-smuggling operation. After Walter winds up in the hospital, the team realizes every patient is at risk of being exposed to an exotic virus, due to a blood-bank hacking. Cabe uses the installation of an audio-surveillance system on a base in Africa as a cover to investigate businessmen involved in the black market. The team looks into a newly found U.S. Marine ammunition belt that went missing in 1971. But a deadly tornado complicates the mission. The Department of Defense hires Scorpion to test Fort Knox's security by breaking into it. But a lethal surprise soon has them struggling to get out. 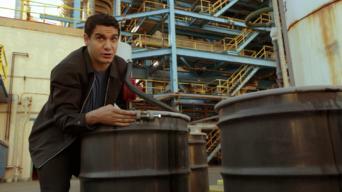 The agents of Scorpion venture into Chernobyl to prevent a nuclear meltdown. But the real trouble arises when Paige and Sylvester become trapped. Scorpion must deal with an unhinged former member of the team after he kidnaps Toby and demands access to Walter's brain-interface research. Season 3 of Scorpion has 25 episodes. Because different Netflix countries have different availability for episodes, you'll need to check the episode listing below to see which are available in Austria. 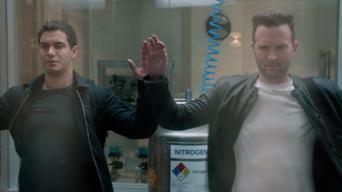 Team Scorpion is put to the test when an unknown group of hackers takes control of military aircraft and warships. The stakes soar when Scorpion discovers that a nuclear submarine has been hacked and could launch a missile at any moment. As Walter tries to crack Paige and Tim's relationship code, Scorpion is tasked with troubleshooting a tech mogul's first manned space launch. A boy from Ralph's class goes missing, and it's up to Scorpion to bring him home safely. 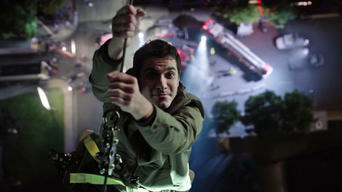 Toby sets out to solve the mystery of Happy's husband. A straightforward job at the Natural History Museum goes sideways for Scorpion when deadly thieves attempt to hit a rare gem exhibit. Scorpion goes spelunking in hopes of stopping diseased bats from infecting the above-ground ecosystem. 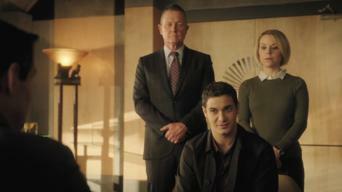 As the country votes on Election Day, Scorpion teams up with the FBI to stop hackers from crashing the voting servers. A trip to the Emerald Isle for Megan's one-year memorial turns deadly when Walter discovers a poisonous cloud looming over the village. Paige's ne'er-do-well mother enlists Scorpion's help when she stumbles upon a forgotten nuclear reactor that could blow at any moment. It's Walter to the rescue when a woman gets trapped in the La Brea Tar Pits. Meanwhile, Paige's mom gives Ralph some business tips. An electronics-free mountain getaway proves to be anything but relaxing. Walter and Tim get a few things out in the open. When a mission turns disastrous, the team uses an unorthodox technique to save a life. Meanwhile, Paige does her best to focus on work. After the team is tricked into taking part in an illegal ruse, Paige uses some of her mother's scam artist skills in hopes of turning the tables. A giant sinkhole threatens to taint the city's water supply. Walter's cantankerous attitude causes problems. Paige and her mom get into some mischief. A quest for a sunken treasure turns into a deadly game of survival when Walter and Paige's boat explodes, leaving them stranded in the Pacific Ocean. Walter and Sylvester go undercover at an international chess tournament to help extricate a spy about to be exposed. Happy, Sylvester and Cabe suffer fear-induced hallucinations when they're trapped in a high-humidity seed vault in Greenland. Happy's friend Ada, who must live in a germ-free bubble, finds her life in danger when debris from a storm threaten to contaminate her environment. Scorpion heads to the Amazon to search for a rare, endangered monkey that may hold the key to stopping the spread of a deadly virus. Scorpion is hired to design a new wind turbine. 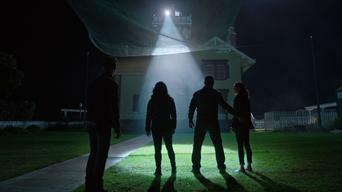 When Paige and Happy are left hanging, the rest of the team must leap into action. A foreign government hires Scorpion to retrieve an asteroid with dangerous DNA strands. Meanwhile, Walter and Paige share a moment. A team of scientists is trapped in a collapsing biodome. Toby and Happy debate future living arrangements. Walter and Paige plan competing parties. A mine explosion sends the team scrambling. It may be Toby and Happy's wedding, but that doesn't mean they get the day off. En route to Toby and Happy's honeymoon, the team's flight crashes on a deserted island. With the pilot in bad shape, they all must think quickly. Still stuck on the island, the team can't agree on the best way to launch a rescue effort. As monsoon season edges closer, tensions run high. Season 4 of Scorpion has 22 episodes. Because different Netflix countries have different availability for episodes, you'll need to check the episode listing below to see which are available in Austria. When Mark Collins delivers some disturbing news to Team Scorpion, Walter and the gang have little choice but to work with their arch enemy. The gang is forced to play fast and loose with the rules in hopes of preventing a global catastrophe. Cabe faces the music. 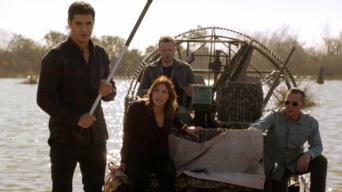 With their finances in bad shape, the members of Team Scorpion travel to Africa to get paid for stopping animal poachers. Decommissioning a nuclear missile isn't as simple as it seems. Meanwhile, Happy's tendency to be a third wheel rubs Paige the wrong way. Walter and Paige attend a swanky tech gala that's full of uninvited guests. Meanwhile, Sly strives to ace a big exam. Hired by a documentarian to help him prove -- or disprove -- the existence of ghosts, the team explores the Queen Mary. A new neighbor moves in next door, the team scours the sewers for a powerful gadget, and Cabe chats with Toby about his looming trial. Sly's legal career gets off to a rough start. 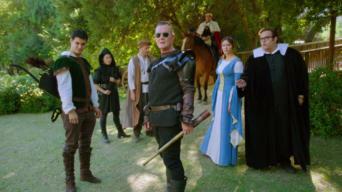 Also, the team visits a Renaissance festival, and Walter tries to patch things up with Paige. Walter, Happy and Flo the neighbor hit the open seas with a plan for dissolving a floating island of plastic garbage. 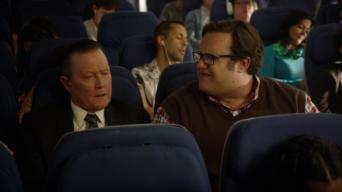 As tensions rise between Walter and Cabe, the team races to help the passengers of a small plane after a crash landing. Nervous about Cabe's trial, the team strives to focus on something positive: saving a diabetic dog trapped underground. 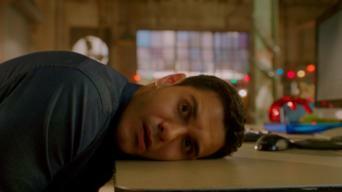 After falling down and bumping his head on Christmas Eve, Walter dreams about what life would have been like if Team Scorpion never existed. The team is tasked with testing a doomsday bunker's AI system and discovers a few flaws -- to put it mildly. A massive power outage knocks out communications and puts two teens piloting a small plane in serious danger. A tsunami appears set to strike a vulnerable nuclear power plant in Mexico. Back in Los Angeles, Toby helps an old flame recover her identity. It's Valentine's Day and love is in the air -- at least Ralph hopes so. Meanwhile, a helicopter crash demands the team's immediate attention. When the members of Team Scorpion visit an underground lab in the Rocky Mountains, their intellectual powers mysteriously go missing. The mission: get Toby's sperm to the fertility clinic on time. The problem: an unforeseen bank robbery. The solution: improvise. The team takes a trip to New Orleans to battle a mosquito-borne virus. Meanwhile, Sly and Ralph go the extra mile to help out Patty. Ordered to play in a government-sponsored softball game, Team Scorpion uses science to exploit the rules and level the playing field. The team makes a shocking discovery in the wheel well of their airplane. 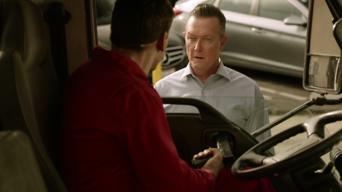 Also, Walter's guilt starts to show, and Cabe gives Sly a pep talk. 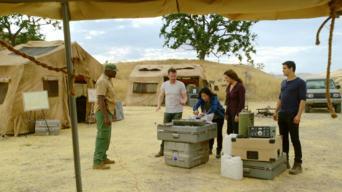 Team Scorpion travels to Africa at the behest of Sly's pen pal. Happy and Toby make a major decision. Paige senses something amiss with Walter.